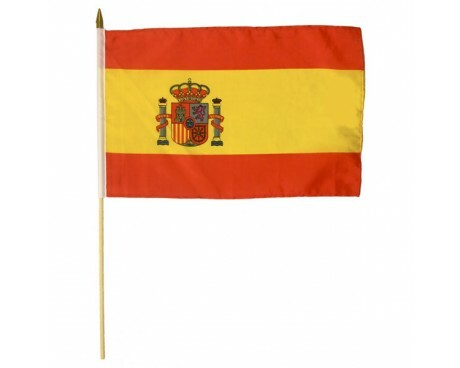 The flag of Spain is among the youngest flags in continental Europe, but it draws on a tradition of heraldry that dates back to the medieval period. 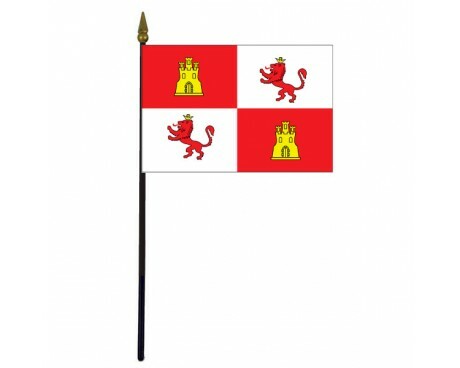 It combines elements that could be found in the individual banners of many different Spanish lords and kings to create a flag that represents the history of the entire nation and all of the regions within it. 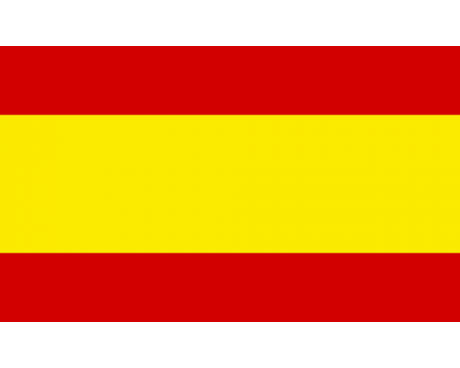 The Spain flag has three horizontal bands. 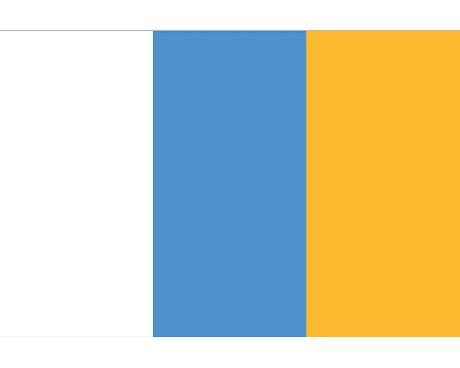 The top and bottom bands are red, while the central band is golden and is twice as wide as the other two. The nation's coat of arms is proudly displayed in the central band, slightly offset towards the hoist side. 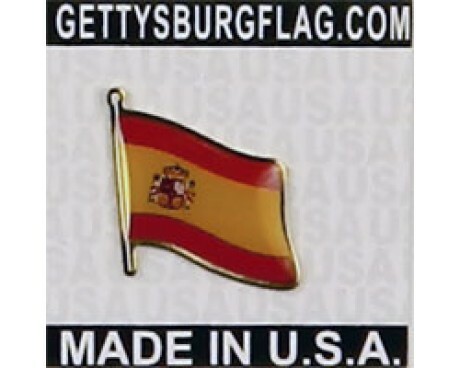 The coat of arms combines the symbols of the kingdoms of Castile, Leon, Aragon, Navarre, and Grenada in order to reflect the five great medieval kingdoms that combined to form modern Spain. 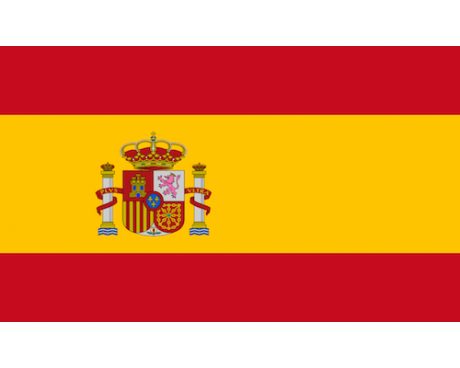 The modern flag of Spain is a combination of many different medieval banners. 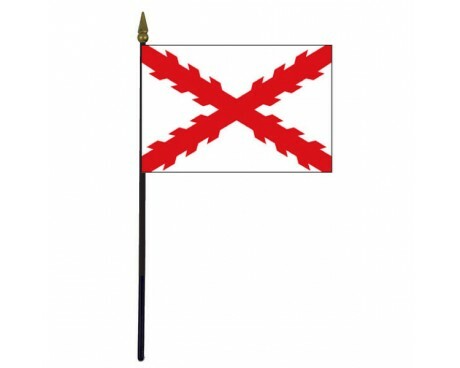 Those banners were used in a primarily military capacity with a large number of regional variations and represented several kingdoms, so a consistent design for a Spain flag did not emerge until after the medieval period. 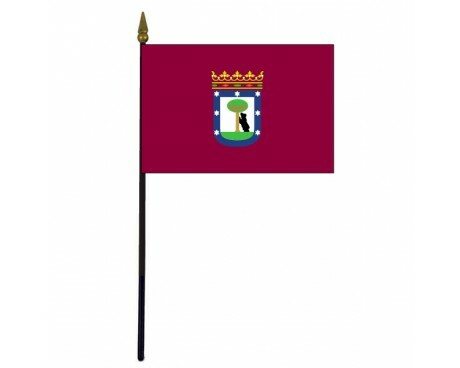 The first flag that represented a unified Spain came into use after the Spanish monarchs intermarried with the Habsburg family in the 16th century and gained control over a large part of Burgundy. The royal family adopted the Cross of Burgundy as their symbol at that time. The Cross of Burgundy was replaced as a military emblem during the middle of the 18th century by King Charles II of Spain. 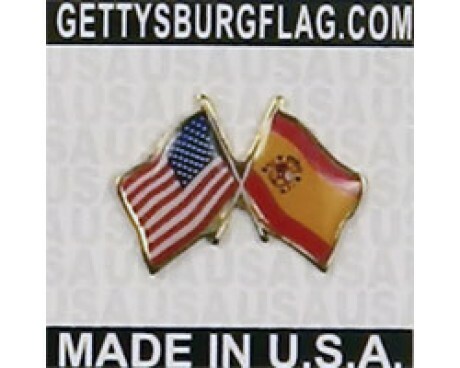 He believed that the Spanish flag was too similar to that of other nations, which led to confusion on the battlefield. 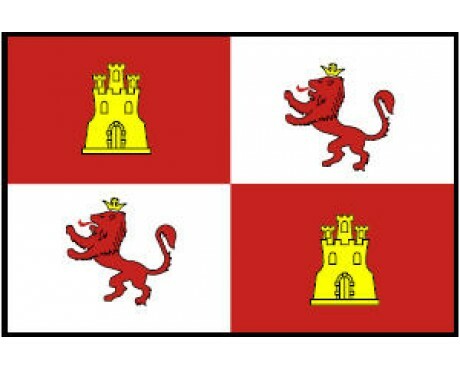 He solved that problem by adopting a red and gold flag which was a clear precursor to the modern design. 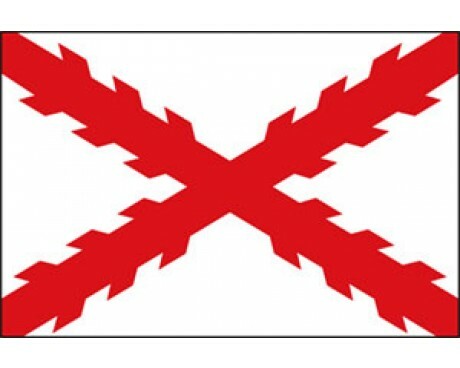 A republican government took power in Spain in 1931, and it adopted a new flag at the same time. The new flag was a horizontal tricolor of red, yellow, and purple with the coat of arms in the center. 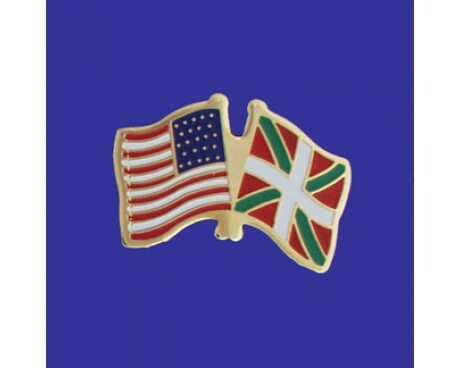 The republican government gave way to Francisco Franco in 1936, and he introduced a design that has changed only slightly since then. 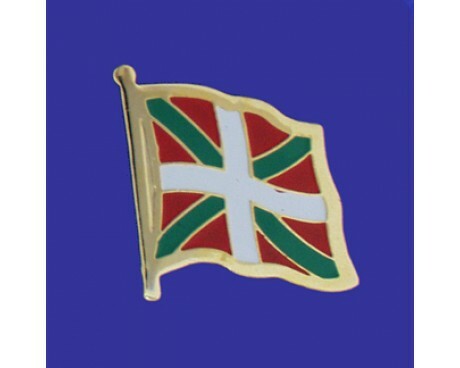 It featured the same bands as the modern flag, but an alternative coat of arms. The coat of arms changed several times during his reign, and it eventually reached the modern form in 1978 as Spain transitioned to a democratic government.